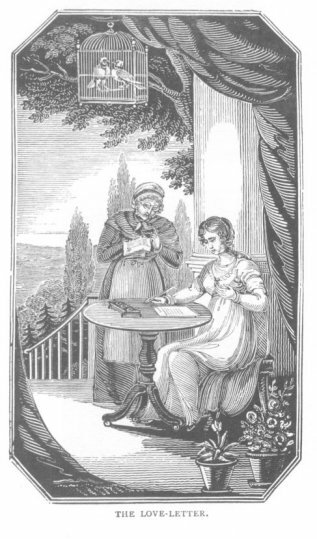 Many folks ask me why I write about the Regency period in England, that very brief time from 1811 to 1820, not realizing what a truly vibrant and fascinating era this was. To some degree, I backed into it as my favorite activities, writing and gardening, cross-pollinated and brought new ideas to both. 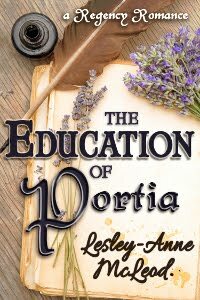 It’s no coincidence that the heroine in my traditional Regency loved roses and smuggled them from France, even in the middle of the Napoleonic wars. I love roses, too, and as my garden expands, I continue to research the Regency for my writing and Old Garden rose varieties for my garden. It’s through my research that I discovered the importance of the Regency period to the development of the modern Hybrid Tea rose. While roses have been grown and propagated by man for thousands of years, most varieties of roses bloomed once in late spring, summer, or fall. Although some roses like the Quatre Saisons rose (above) bloomed in the late spring and occasionally in the fall. 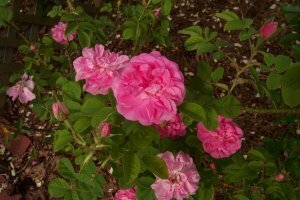 Most Regency ladies would have known and loved these once-blooming roses including Rosa Gallica, known as the Provence rose, the Phoenician rose, Summer Damask, and Autumn Damask. When these roses bloomed, a single bush would be enough to scent an entire garden and the bushes would be literally covered in flowers. While they may only bloom once a season, they made up for it by producing huge numbers of roses and ladies were adept at collecting and preserving them for cosmetics and food such as candied rose petals or fragrant jellies. Then, in 1790, the first China roses were brought to England from the Orient. Why were the China roses so important? While their loose, muddled flowers were not as lush and intensely fragrant as the European varieties, they had one sought-after quality: they rebloomed all season. English plantsmen leapt at the idea of producing a full, fragrant rose like the Damask that bloomed spring, summer and fall the way the China roses did. Crossing the China roses with the European varieties was no piece of cake, though. Despite the arrival of the China roses in England in the final years of the 18th century, it took many years of trial and error to get the varieties to cross-pollinate and reproduce. But they did eventually succeed. When rose growers managed to cross Slater’s Crimson China with the Summer Damask, they created a new group of luscious roses known as Portland roses. The first variety of Portland rose appeared in 1800. The Portland is known to have been in the famous Dupont nursery in Paris in 1809. Dupont obtained it from England and named it after the Duchess of Portland who may have found it in Italy early in the century. The Portland was a rich red color and if trimmed could be induced to bloom twice a year. Truly a valuable rose! Sadly, there were never a lot of Portland rose varieties, but they were a lovely and important rose during the Regency. After the Portland, Parson’s Pink China was crossed with the Autumn Damask to produce the Bourbon rose varieties, starting with Rose Edward in 1817 and followed by Rosier de I’le Bourbon. Rosa Gallica was crossed with Hume’s Blush Tea-scented China in 1815 to produce the first Hybrid China rose. The Bourbon and Hybrid China roses bloomed more than once a season and were “cutting edge” for the period. Then Hume’s Blush Tea-scented China was crossed again with Bourbon roses and the Hybrid Chinas crossed with Portlands and these varieties eventually led to the pink Tea roses and Hybrid Perpetuals. The first Hybrid Perpeutal, Rose du Roi, was raised by Souchet in 1816 from the original Portland Rose. These varieties were the darlings of British Society until late in the 19th century when the Hybrid Teas took their place. And they’re still the darlings of my garden. I have several Hybrid Perpetuals, and they are a truly gorgeous, light pink rose with a heavenly fragrance. The bushes are incredibly healthy and bloom all season long. I could not ask for a better-behaved rose, but I most happily digress. 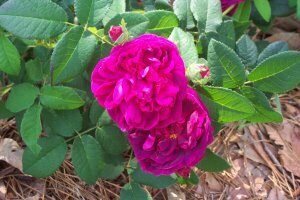 When the Rosa Gallica variety was crossed with Hume’s Blush Tea-scented China in 1815, it produced the first Hybrid China rose. Unfortunately for ladies who liked yellow roses, they still did not have their heart’s desire, yellow roses. The only yellow roses that would grow in English gardens at the time, Rosa Foetida, smelled of rotting meat, but in 1900 the propagation of Soleil d’Or filled that void. So from these historic varieties, it was only a hop, skip and jump of about forty years before the first Hybrid Tea, La France, was created in 1867. The Hybrid Tea is the variety of rose best known today from florist’s shops and formal gardens. However, interestingly enough, recent rose hybridizers like David Austin have been working to turn back the clock and grown roses that look like the many-petaled varieties grown during the Regency while retaining the reblooming qualities of our familiar Hybrid Teas. These English, or shrub, roses are every bit as fragrant, lush, and healthy as the original European varieties so many Regency ladies enjoyed in their gardens. 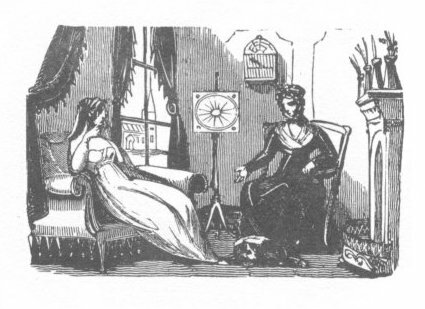 Truly, what is old is new again, and I hope you enjoyed this brief look at the development of roses during the Regency. The heroines in my Regencies, The Necklace and The Bricklayer’s Helper grew roses or made good use of them in their cosmetics, so they would have known and loved the exciting developments in this lovely plant. 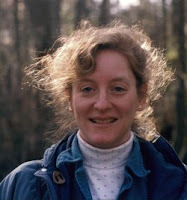 Amy Corwin is a charter member of the Romance Writers of America and has been writing for the last ten years and managing a career as an enterprise systems administrator in the computer industry. 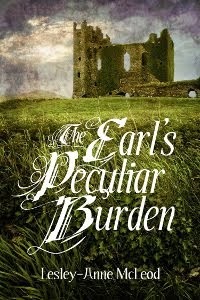 She writes Regencies/historicals, mysteries, and paranormals. 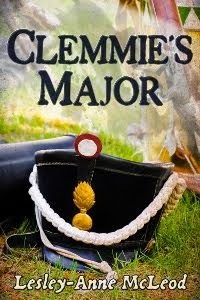 To be truthful, most of her books include a bit of murder and mayhem since she discovered that killing off at least one character is a highly effective way to make the remaining ones toe the plot line. 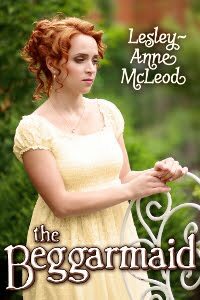 Amy’s books include the Regency romance, SMUGGLED ROSE; three Regency romantic mysteries, I BID ONE AMERICAN, THE BRICKLAYER’S HELPER, and THE NECKLACE; and her first paranormal, VAMPIRE PROTECTOR. 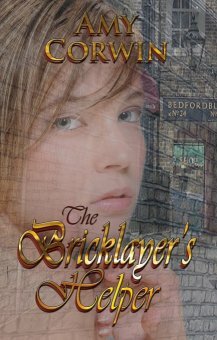 Her latest release is THE BRICKLAYER'S HELPER. Appearances can be dangerously deceiving. I have been exploring historic cookery books again. The London Art of Cookery, 1811, by John Farley 'formerly Principal Cook at the London Tavern' which I have discussed previously, has a fascinating section towards its end. 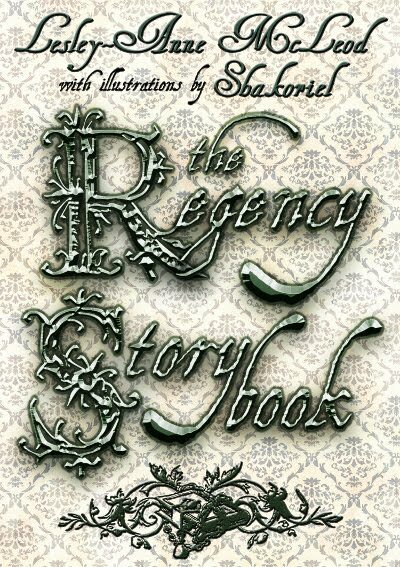 Chapter IX is titled 'Elegant Ornaments for a Grand Entertainment'. It offers six dishes which, while they might be edible, would be--in the hands of a kitchen artiste--quite spectacular. I cannot imagine the hours required to produce these masterpieces. Their ingredients sent me to Google and I have still not tracked some of the items down. The first dish, 'Floating Island', is still known today in a different form. 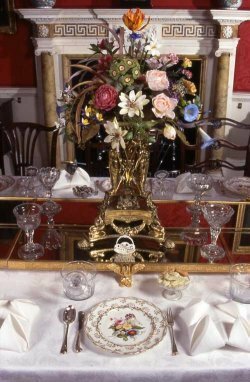 In Regency times, it was prepared in "a deep glass, set on a china dish". Cream, sugar, lemon and sack were combined and 'milled' until they separated into thin cream and thick froth. The thin cream was poured into the 'glass' and on it was floated thin layers of French roll (?) alternated with layers of jelly. Finally the froth was piled 'on the top as high as possible'. 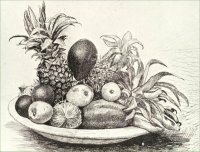 "The rim of the dish may be ornamented with figures, fruit, or sweetmeats." "If cut neatly, and the paste is rolled very thin, it will be a beautiful corner for a large table." 'Desert Island', listed next, involves building a small diorama in a deep china dish. An island is formed of 'paste' and coloured. The addition of small figures is suggested, eringo root (preserved root of the sea holly--a popular confection for years) for trees and pillars, gravel walks made of 'shot comfits'. "Roll out some paste, and cut it open like Chinese rails" reads one sentence. Chinese rails? I can't find anything about them anywhere. The suggestion titled 'Moonshine' sounds quite charming. 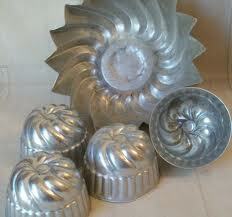 It requires use of a very large dish, and tin moulds in the shapes of a half-moon and several sizes of stars. The tins are placed in the dish basically as place holders and blanc-mange is poured around them to fill the dish. When the blanc-mange sets up the tins are removed, and clear calf's feet jelly fills the 'vacancies'. "Colour the blanc-mange with cochineal and chocolate, to make it look like the sky, and the moon and stars will then shine the brighter." 'A Dish of Snow' involves boiling apples until soft and then forcing the pulp through a sieve. This pulp is mixed with egg whites and sugar, and beaten to a 'strong froth…till they are like a stiff snow'. This is heaped up in a china dish 'as high as possible'. "Set round it green knots of paste in imitation of Chinese rails, and stick a sprig of myrtle in the middle of the dish." "An ingenious person may make great improvement on these artificial fruits; but it requires great nicety and long practice to perfect them in it." I suppose nowadays we have delicacies to equal these elegant trifles, but we have ovens with precision heating and all kinds of electric equipment with which to prepare them. To make such masterpieces without the apparatus we possess must incite admiration. In fact, the mind boggles. As a last note, the author suggests other recipes: "the hedge-hog, the hen and chickens in jelly, the Solomon's temple, and the eggs and bacon, etc. in flummery, already given, may, with propriety, be classed among the elegant ornaments for a grand entertainment." Amy Corwin is a charter member of the Romance Writers of America and has been writing for the last ten years and managing a career as an enterprise systems administrator in the computer industry. 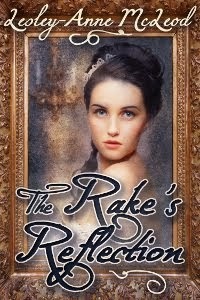 She writes Regencies/historicals, mysteries, and paranormals. 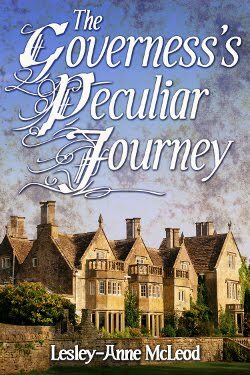 Amy’s books include the Regency romance, SMUGGLED ROSE; three Regency romantic mysteries, I BID ONE AMERICAN, THE BRICKLAYER’S HELPER, and THE NECKLACE; and her first paranormal, VAMPIRE PROTECTOR. "How much more attractive must a young woman appear, who is content to tread the path which Nature has prescribed, than one, who, by overleaping the barrier which divides the sexes, seems to defy opinion, and oppose constraint!" The sentiments above sound Victorian to me; in fact, I want them to be Victorian. 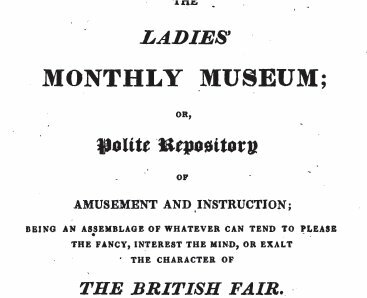 But they appeared in the Ladies' Monthly Museum in 1801 under the column title The Female Mentor with no author attribution. The writer of the piece must have been a man. I would hate to think that another woman would write such oppressive and offensive advice to young women. "...the evil [loss of softness and sensibility], alas! is of a more dreadful nature, and aims at the subversion of domestic peace; for we no longer behold that pliancy of temper which cemented the bonds of connubial love." I had rather thought that sentiments like those expressed in this article were born of the Victorian temperament, and if I had not seen the date 1801 would have placed this article in the 1830's or even later. The fact that they were published just after the turn of the century, I find sobering. 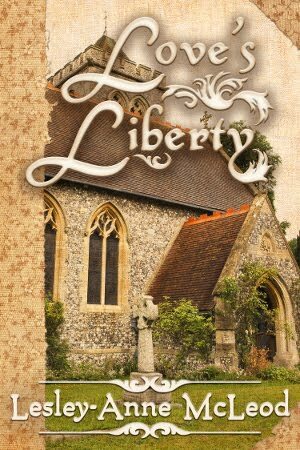 After the excesses and openness of the eighteenth century, I rather thought that women had some degree of freedom, at least of thought, if not of person. To find them already oppressed by convention, and repressed by false morality, I find utterly depressing. 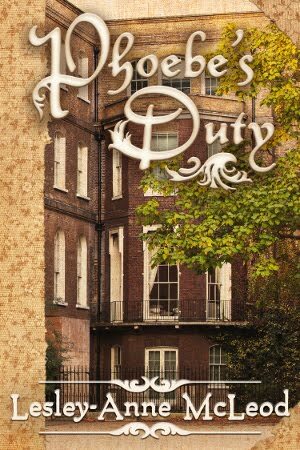 "What man of delicacy or refinement would wish to unite himself to a female whose happiness was derived from controversy and debate, and who, instead of discharging her domestic duties, thought them beneath the dignity of an enlightened mind?" 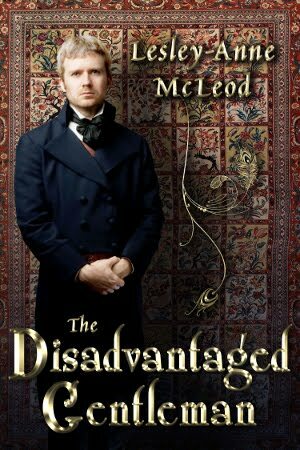 Readers and writers of Regency fiction must be aware of this early infiltration of fierce propriety and enforced decorum. 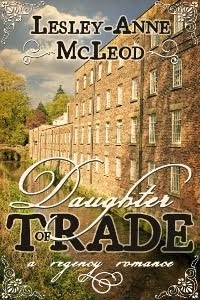 Free thinking young women--independent, lively and confident--were even early in the nineteenth century under attack. Of course unconventional souls existed, as they have in every age, and we write about them and read about them with relish. But only a few of the female characters created by an author in a work of fiction can be original thinkers; the rest cannot deny the paths that were being proscribed for them. Attitudes in Georgette Heyer's work that are sometimes descried as Victorian or Edwardian may, after all, have been Regency attitudes. "How essential, then, to the happiness of society in general, is the practice of affability, gentleness, and ease; and how peculiarly unamiable is the female character which has lost the relish to delight and please!" Thank heaven for Mrs. Wollstonecraft and her 'Vindication of the Rights of Women'. In light of this article, she takes on the aura of a voice crying in the wilderness. The Female Mentor says of her "...instead of endeavouring to destroy all distinction between the sexes, [she should have] recommended those virtues which peculiarly adorn her own." At least, young women--if they could get their hands on her work--had a point of view to contradict the appalling sentiments of this article. "Controversy and disputation seem such unamiable propensities in beings whom Nature designed to engage, that we could hardly believe it possible they could so far forget their station, as blindly to follow such mistaken advice." 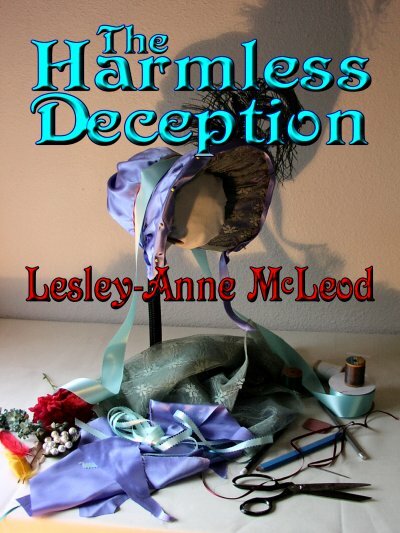 Heroines of Regency fiction must tread a delicate balance. They must be aware of the divergent opinions around them, from Wollstonecraft to The Female Mentor, and they must be true to themselves. But always they must be believable people of the period they inhabit. The Regency period is diminished in my eyes by articles such as this. While popping the cork of a bottle of bubbly, singing Auld Lang Syne, and watching fireworks, is what we associate with British New Year’s – more specifically, New Year’s Eve, that wasn’t always the case. January 1 was officially designated New Year’s Day in Great Britain in 1752. During the time of the Regency, ushering in the New Year was pretty low-key. 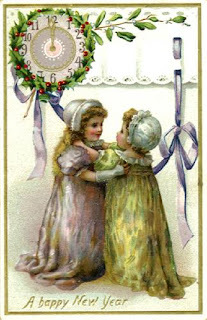 New Year’s Day, January 1, fell between what the Regency-era English people considered more important holidays of Christmas and Twelfth Day. Twelfth Day brings an end to the Christmas tide festivities. Twelfth Day, so called since it is the twelfth day after Christmas, is the festival of Epiphany. This feast of the Christian church was instituted in the fourth century. Whence thou mayst bud, and whence thou mayst blow! And my pockets full too! – Huzza! After this ritual, they return to the house, where the doors have been bolted by the females within. The men are only able to gain entrance after correctly guessing what is cooking. While it’s difficult for many of us to imagine, the majority of delectable pastries were not presented at Christmas or New Year, but at Twelfth Day. Pastries and cakes were decorated and formed in a variety of shapes, from castles, dragons and kings, to lions, knights and churches. Although Twelfth Night was a recognized time of public mischievousness, at home, a large cake is presented. Within the cake are a bean and a pea. Whoever finds the bean is the king, and the pea, is the queen of Twelfth Night. In some parts of society, the selection of a king and queen were much more elaborate. After cake and tea were served, guests were invited to draw different numbered ‘characters.’ Only after the character – slips of papers called tickets, with names and numbers on them – were the king and queen known. Number 1 for the king, and 2 for the queen. Each person, beginning with the king, had to recite the verse on their ticket. Some of the character names, by prominent writers of the day included: Peter Puncheon, Prudence Pumpkin, Judy Juniper and Sally Salamander. 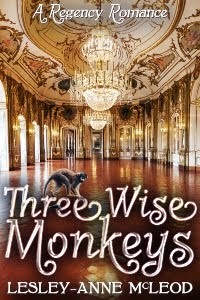 As a special Christmas and New Year gift to you, please download my Regency Christmas novella Stirring Wishes at Smashwords. 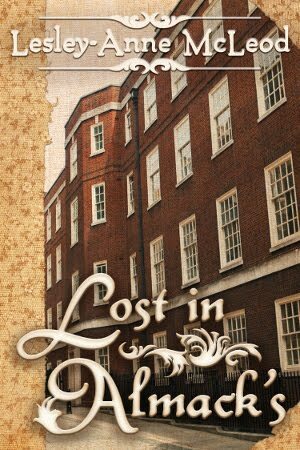 The novella will be free when you enter the coupon code: DZ69Q. The offer is good until January 30, 2011. Hope you all have a wonderful New Year! 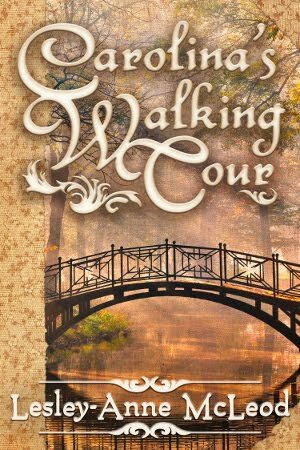 Author Tara Manderino loves to create stories and situations for the people running around in her head. She first began writing in third grade when she realized she couldn't afford her reading habit. 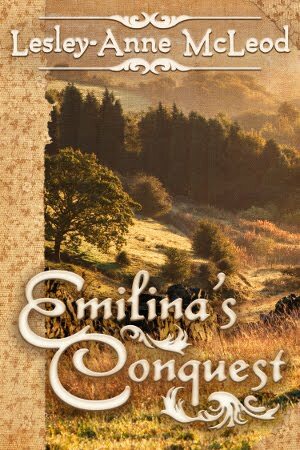 To date she has written several contemporary and regency historical novels, all available in electronic format and paper. 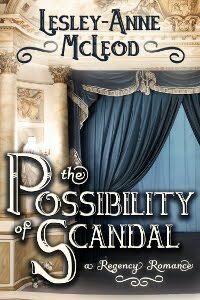 Her Regency historicals can be found at Awe-Struck Publishing or Amazon. 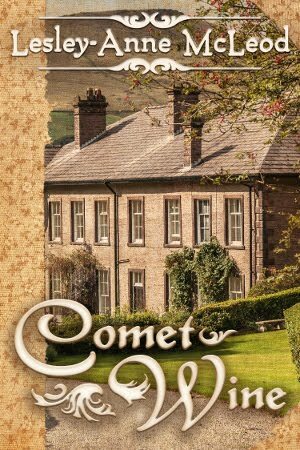 They include Whisper My Name, The Heir and Dere’s Demons, and cover a wide variety of social topics of the day, from a deaf heroine, to the industries of Manchester.